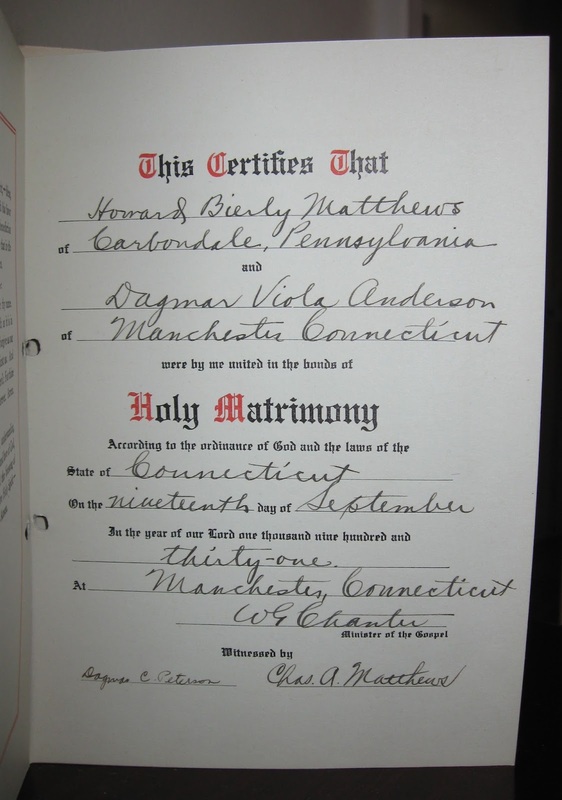 Do you have marriage records for your grandparents or great-grandparents? 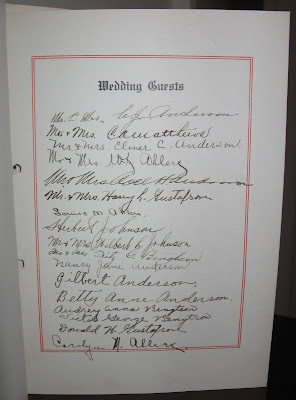 Write a post about where they were married and when. 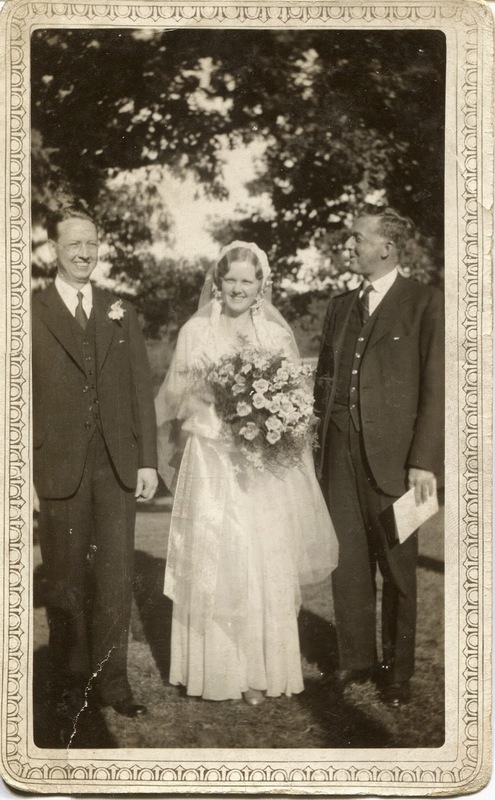 Any family stories about the wedding day? Post a photo if you have one. 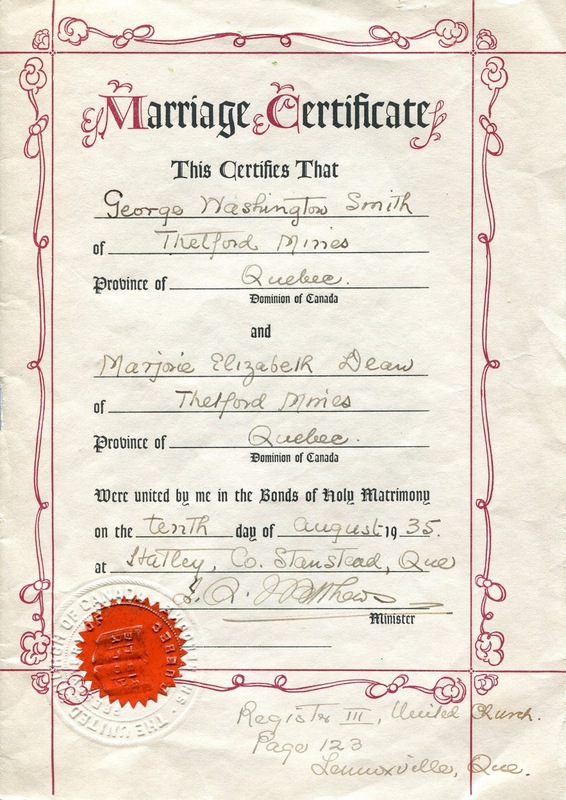 I have marriage records for both my paternal and maternal grandparents. 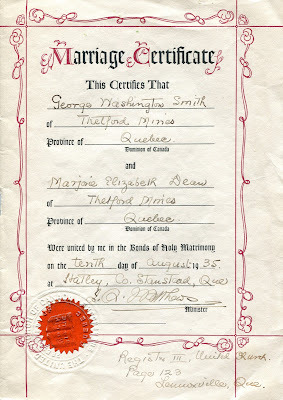 This is the marriage certificate of my mother's parents, George Washington Smith and Marjorie Elizabeth Dean Smith. They were married on August 10, 1935 at Minton United Church in North Hatley, Quebec. 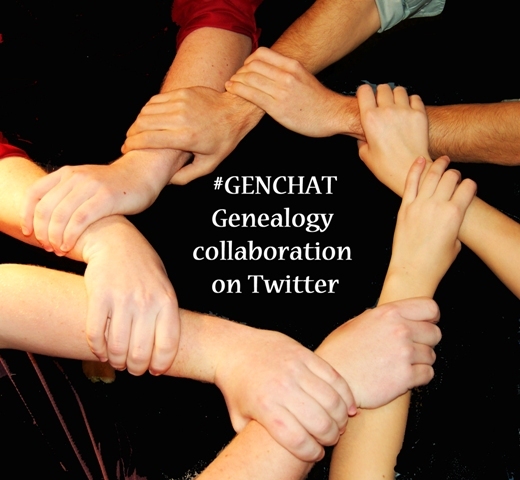 I have also seen an image of the parish record on Ancestry. Photos were taken at the Dean family farm. My grandmother's younger sister Dorothy was her Maid of Honor and she was Matron of Honor for Dorothy two weeks later. 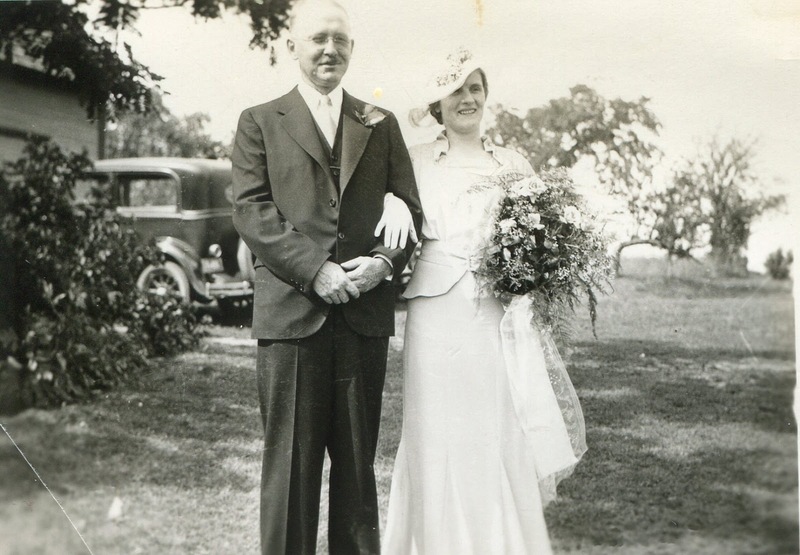 Since she could not afford a second dress or set of accessories and being the dutiful big sister, she chose a dress and accessories that would be appropriate for both weddings. At sister Dorothy's wedding two weeks later. My father's parents were married four years earlier in South Manchester, CT. on September 19, 1931. 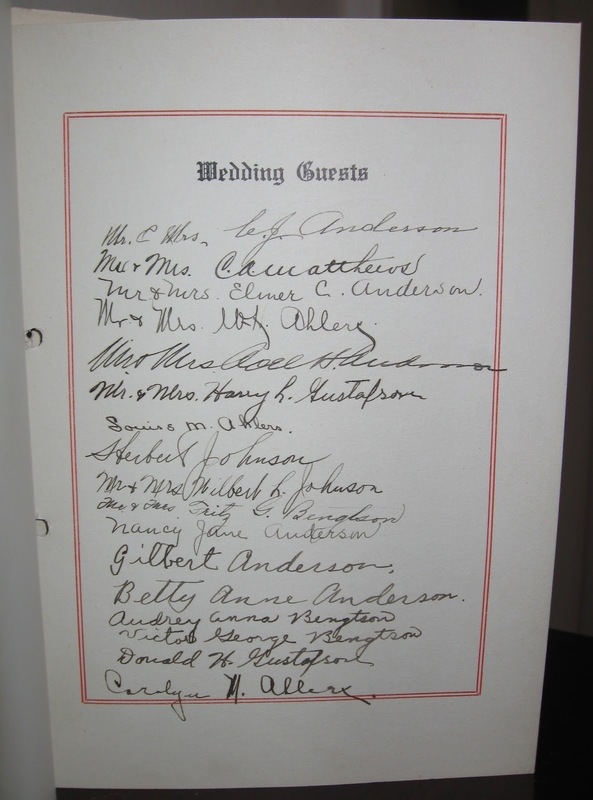 This is the Wedding Service booklet that I found in Dad's basement stash six months ago which contained a marriage certificate (and saved me $20). 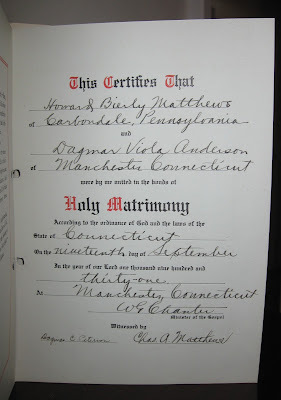 They were married at the home of my grandmother's parents and not at the family church because my grandfather wanted Dean George William Chanter from Wesleyan University (an Methodist Episcopal minister) to officiate and the Lutheran Church in Manchester could not allow that. The reception was held a few blocks away at my grandmother's brother Elmer's home. I'm very lucky to have this home movie which includes the reception at the beginning and footage of my dad later on. I have seen on Ancestry the marriage record of my maternal grandmother's parents (James Louden Dean and Eva Maud Bean) as filmed by the Institut Genealogique Drouin and I know where to find the marriage record of my paternal grandmother's parents (Carl Johan Anderson and Mathilda Alfina Martensdotter Johansson) because I have seen the index, but I have not spent the money yet to obtain a copy. The index confirmed the information that I have and that will have to do for now. 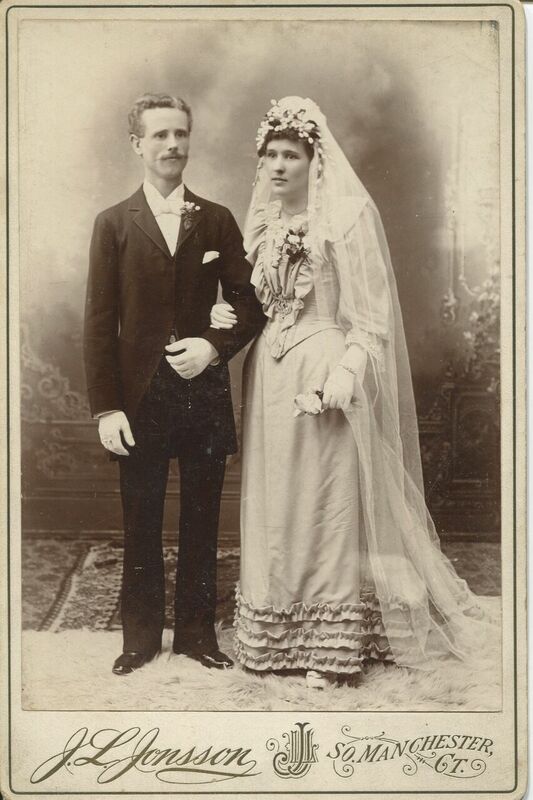 This September I was incredibly excited to find this studio photograph from their wedding day, August 4, 1893. Other than the date and the place, Emanuel Lutheran Church in So. 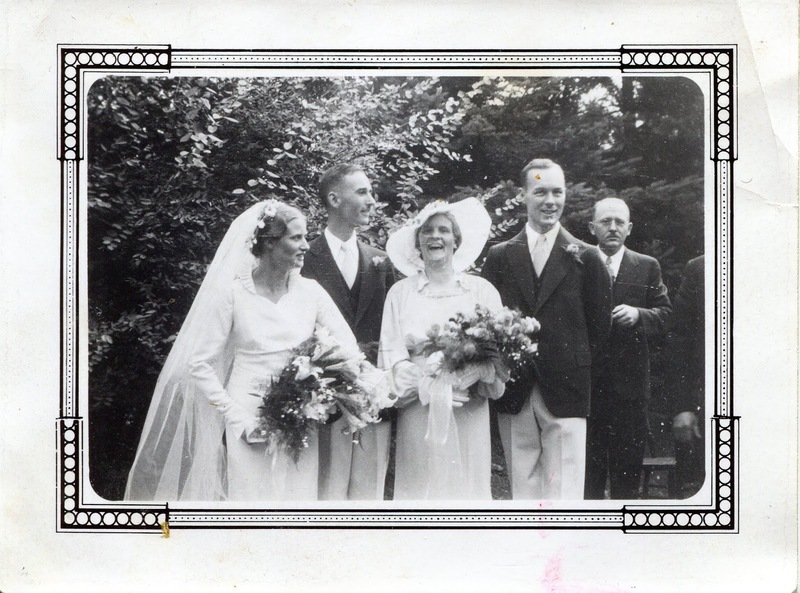 Manchester, CT, I do not know anything about my grandparents wedding day but I am so grateful to have this photo. Wonderful photos. What treasures! I'm curious as to how you found the 1893 photo last September. My father passed away 11 years ago, before I took an active interest in family history. My stepmother finally let me into the basement to go through his things in September. It was a treasure trove and this photo was in the boxes I now refer to as Dad's basement stash.